Ekushey Padak winner Polan Sarker, who known as Alor Ferrywala, was laid to rest at his village home at Baushua village in Bagha upazila of Rajshahi on Saturday morning, UNB reports. He was buried at his family graveyard at 10:30 am beside his wife’s grave. His namaj-e-janaza was held at the field of Harunur Rashid Shah Dwimukhi High School in the morning. Polan Sarker was the president of school managing committee of the school. Deputy Commissioner S M Abdul Kader, Superintendent of Police Md Shahidullah, upazila nirbahi officer Shahin Reza, among others, attended the namaj-e-janaza. 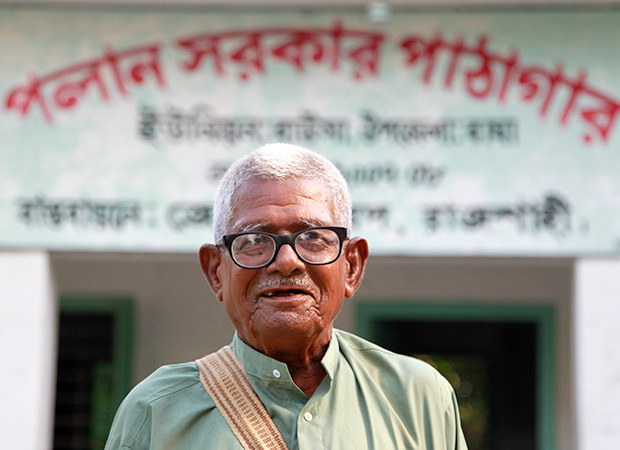 Polan Sarkar, who used to distribute free books among people, passed away on Friday at the age of 98.